I was asked to solve a case study about Louis Vuitton to Public Relations subject at college. The case study talks about a strategy conducted by LV in 2007 which envolved french fashion bloggers. LV wanted to promote the new site of the brand and so invited 40 bloggers, one week before the launching of the site, to watch and comment about the content of the site in their own blogs. A great strategy I may add! Who are the best persons to promote a fashion brand than fashion bloggers? The ones who are interested in the brand and its products will read the comments and be lead to the new site, without an advertasing campaign paid by LV! Of course, I loved the project! And I loved it even more because I had to search about the history of the brand and had the idea of asking questions to some employers of our portuguese store in Liberdade Avenue. When I arrived at the store I asked how was the feeling of working in that brand always related to luxury goods and quality; I wanted to know if the values they pass to the outside world are the same they have in their daily life. 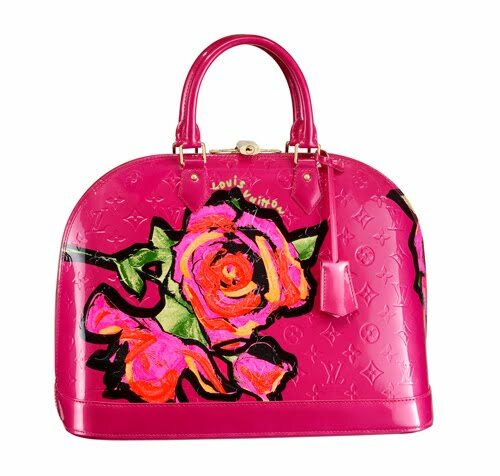 Even though I have the brand in consideration I never thought employers were taught about the LV's history and most known itens, such as speedy bags, etc. But they are! The girl explained me they are reminded every day which kind of consumers are LV consumers and the best way of satisfying them during the selling time. I was amazed! Now, talking about the history of the brand, I discovered that the brand was a family legacy in the firsts decades and that was firstly known by its innovations in the luggage market. 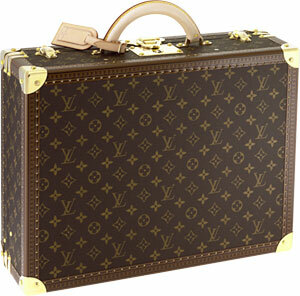 LV invented the first flat-topped trunks that were lightweight and airtight. At the time, all other trunks had rounded tops for water to run off, and thus could not be stacked in railway cars.